It has been a while since Jimmy Johnson dealt with anything less than a championship mindset on the track. 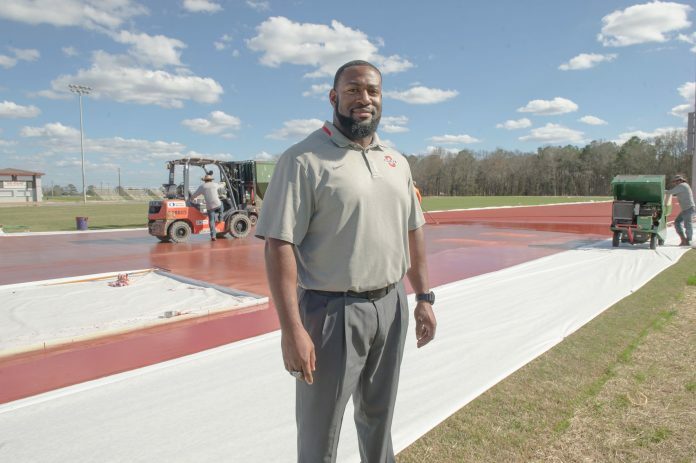 With his start at Opelika High School in 2010, the track and field head coach remembers not being able to send any of the men’s team to invitational meets. Four years later, the men finished one point behind the No. 1 spot before going on a streak of three outdoor and two indoor titles. Now, with the men and women finishing fourth and 11th in the 2018 state championship, respectively, Johnson can’t explain how his team got back to winning. As a self-described “player’s coach,” Johnson noted the team’s willingness to work and respond to coaching. With “hell day” on Mondays, Johnson recognizes his athletes acting both prepared and excited to get started. The work ethic provided by his students is complemented by the team’s recent successes in championship meets. “I put them under pressure every day at practice,” Johnson said. “When they get under pressure at the state meets, the sectional meets, they compete. They compete like they want to win state. One day during practice, Johnson remembers a female athlete making the statement of second place representing the competition’s first loser. He remembers agreeing, and forgetting what it was like to not be close to second best. Now, Johnson laughs, and remembers Will Ferrell in the movie Talladega Nights saying that if you weren’t first, you’re last. Johnson, a graduate of Opelika and the National Federation of State High School Association’s 2016-17 South Sectional Coach of the Year, remembers what it was like to lose. Nearly a decade separated from his coaching debut, Johnson and the other track coaches remember not being able to compete in meets. Last season, Opelika hosted its first home meet in a decade, Johnson said. 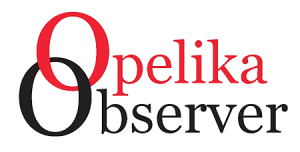 This season, Opelika will host two — once on March 2 and another on April 20. With a rebuilt track and program, Johnson is focused on maintaining consistency and keeping a bigger picture in mind. Opelika started the 2019 season at the Martin Luther King Indoor Invitational, with the men’s and women’s varsity finishing fifth and 42nd, respectively. Junior Jaylen Stinson placed first in the 60 meter, 400 meter and long jump events. Jaylen’s younger brother, Jarell, finished seventh in the 60-meter dash and 26th in the 800-meter dash. Johnson, who went to high school with their parents and played football with their father, had high praise for Jaylen going into the season. Johnson remembers Jaylen impressing coaches with his first attempt throwing javelin, and then remembering each coach questioning what four events to put the underclassman in. With a closer relationship with his athletes, including his connection to the Stinson parents, Johnson knows now how his team is able to be successful. Going into the 2019 season, Johnson reflects on moving forward with a team consisting of impressive younger talent.